After a cute hippo craft idea? 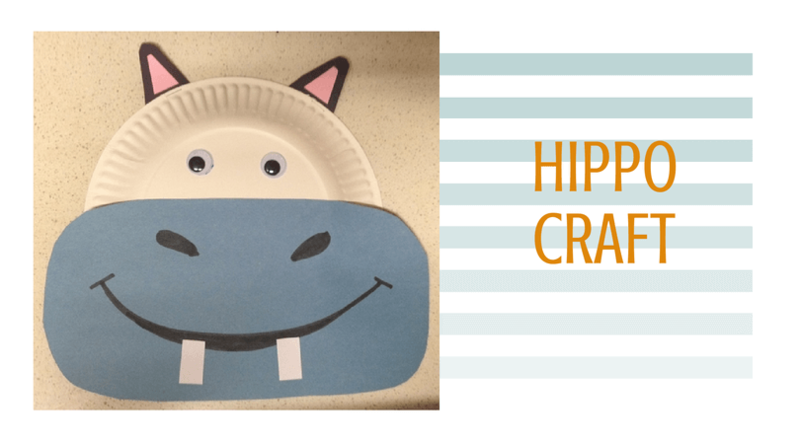 This term at playgroup our theme is wild animals and this week I was in charge of the hippo. 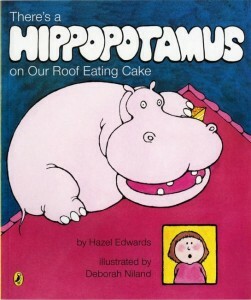 I decided on “There is a hippopotamus on the roof eating cake” by Hazel Edwards & Deborah Niland as my book and went in search of hippo craft ideas! This is what I made (inspired by this blog post). Cut out the snout section from the light blue paper. A slightly squished oval a bit wider than the plate works best. Cut out the ears from the grey paper and slightly smaller versions from the pink paper, rounded triangles work well. Cut out the teeth from the white paper. Draw on the nostrils and the mouth. Get your child to glue on the snout and the teeth onto the mouth. Get your child to glue on the eyes and the pink inner parts of the ears onto the grey parts. Help your child to staple the ears into place.